Does anybody know a good source for new door seals/weather striping for a W900A? Mine are pretty well rotted out. Any input would be appreciated. Thanks. 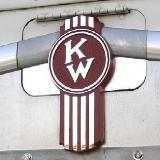 If not at KW, try Restoration Specialties or other suppliers. 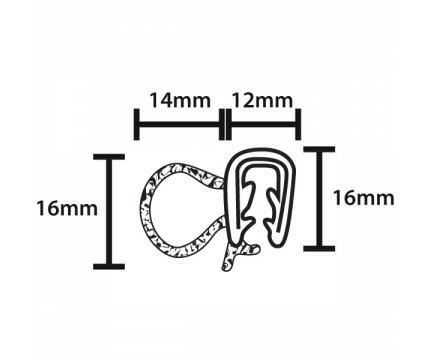 They will have at least 2 types of seal material to sell by the foot. Looks like Restoration Specialties is the place! They have lots to choose from for weather stripping. Thanks for the info FredD. De Guitars is the KW guru, has comments on other posts . I replaced mine using an aftermarket rubber supplier down here. Door seals should have a overall profile of 25mm (1 inch) from memory I allowed 2m (7 ft) per door. With a profile like below. or KW part no. on attachment. Thanks for the info, how do the seals attach to the door? Are they glued on with adhesive or is the weather stripping attached with fasteners? The original door seals were glued to either the door or into the jamb itself. It was the same seal, doesn't really matter which way you do it. There was almost always a flat strip also glued into the lower corner of the jamb of the main seal was on the door. Things were done this way clear up to the W900B model in '82 when the push on seal seemed to show up. This seal has become more or less ubiquitous to the point many don't realize there was an earlier style. I haven't checked in quite awhile but the glue on seals were still available from KW a few years back however many rubber items are disappearing quickly and I haven't looked for a modern replacement. The push on seal is available from Paccar but there's also a less expensive aftermarket version out there. The one I posted is just a pinchweld, push it onto the edge and works well no glues. Using a similar profile product on the Louisville. deguitar Dave sent you a PM mate.